Does Not Fit First Half of Production Year 2015. N-Fab Black Podium Steps are available in a 3" main tube diameter. 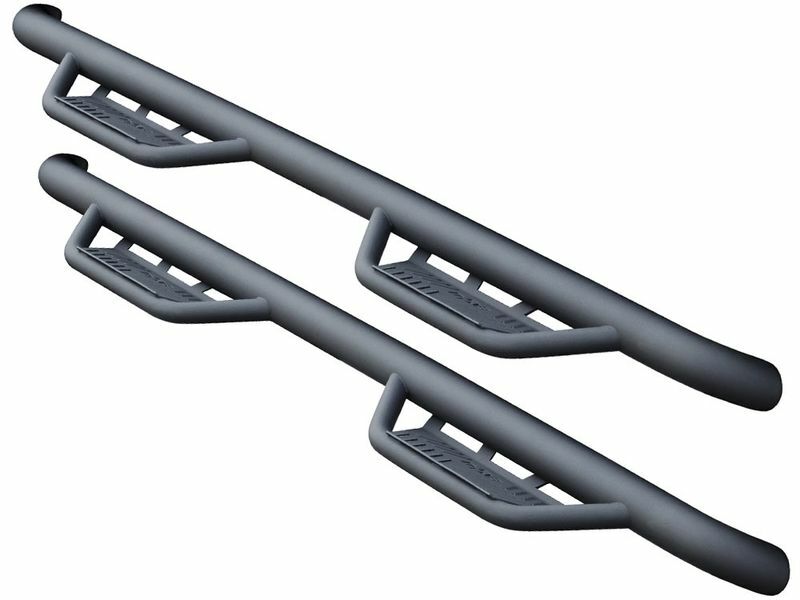 No matter if you are an off-road junkie or city street driver, these nerf bars are for you. Available in durable black powder-coat finish, each step bar has long lasting durability. Constructed from durable stainless steel, each nerf step features an all new expanded and enclosed sure-grip step. This will allow for safe and secure stepping in and out of your cab. The N-Fab Black Podium Steps are perfect for both stock or lifted trucks. Backed by a limited lifetime warranty, you cannot go wrong by adding a set of these bad boys. You can easily install the Podium steps without any cutting or drilling.